Tickets went on sale yesterday, so if you want to catch the illustrious crooner live in concert later this year when he comes to town to help the Spokane Symphony celebrate its 70th anniversary, either get them now or start saving. The 18-time Grammy winner and American music icon is performing on Saturday, June 4, at the Spokane Convention Center, following a gala dinner. Tickets for the event, which benefits the symphony's programs and mission, are offered at two levels, $225 for reserved seating and $275 per person for the "Golden Circle." The age 21 and up event begins at 5 pm, with the concert to start at 8 pm. 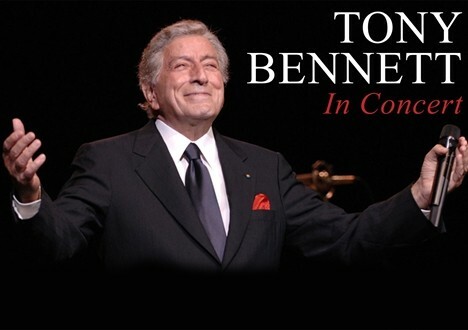 Bennett last performed in Spokane in June 2013 at Northern Quest Resort & Casino. The jazz icon also came through for the grand reopening of the renovated Fox Theater in November 2007. Get excited to see the music legend live in concert with this video of Bennett singing "The Lady is a Tramp" with bestie Lady Gaga.